What’s the matter of having time-consuming tasks on the server side? Every time the client makes a request, the server has to read the request, parse the received data, retrieve or create something into the database, process what the user will receive, renders a template and send a response to the client. That’s usually what happens in a Django app. Depending on what you are executing on the server, the response can take too long and it leads to problems such as poor user experience or even a time-out error. It’s a big issue. Loading time is a major contributing factor to page abandonment. So, slow pages lose money. There’s a lot of functions that can take a long time to run, for instance, a large data report requested by a web client, emailing a long list or even editing a video after it’s uploaded on your website. It looks like the worst code ever. Celery – the solution for those problems! 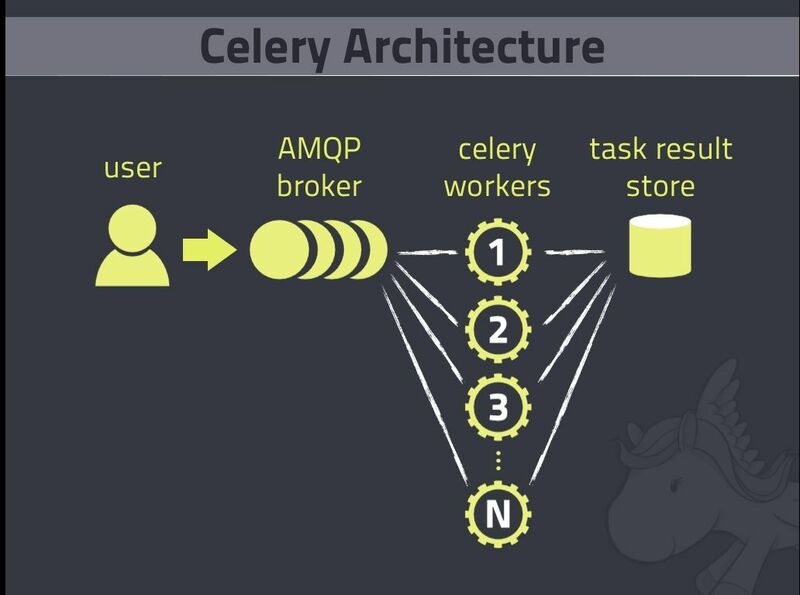 Celery is a distributed system to process lots of messages. You can use it to run a task queue (through messages). You can schedule tasks on your own project, without using crontab and it has an easy integration with the major Python frameworks. The User (or Client or Producer) is your Django Application. The workers (or consumers) that will run your tasks asynchronously. The Result Store, a persistent layer where workers store the result of tasks. The client produces messages, deliver them to the Message Broker and the workers read this messages from the broker, execute them and can store the results on a Memcached, RDBMS, MongoDB, whatever the client can access later to read the result. There is a lot of examples on How to Use Celery with Redis. I’m doing this with RabbitMQ. In your project’s directory (the same folder of settings.py), creates a celery.py file as following. Now you just have to import this function anywhere you want and call the delay method, that was added by the shared_task decorator. return "You will receive an email when the report is done"